A headset is easy to buy when in the shop. You look at the price and what pleases you and pay for it. This is maybe because it is such a relatively small piece of hardware. But this component may determine the success of your relationship with your customer, the quality of your family conversations, your productivity at work and even the enjoyment you derive from your favorite game. So before you set out to buy a Bluetooth headset, especially a VoIP headset, consider the following things. This is not the most important factor, but I put it on top of the list because it’s the first thing that people, including me, think about when buying most stuff. 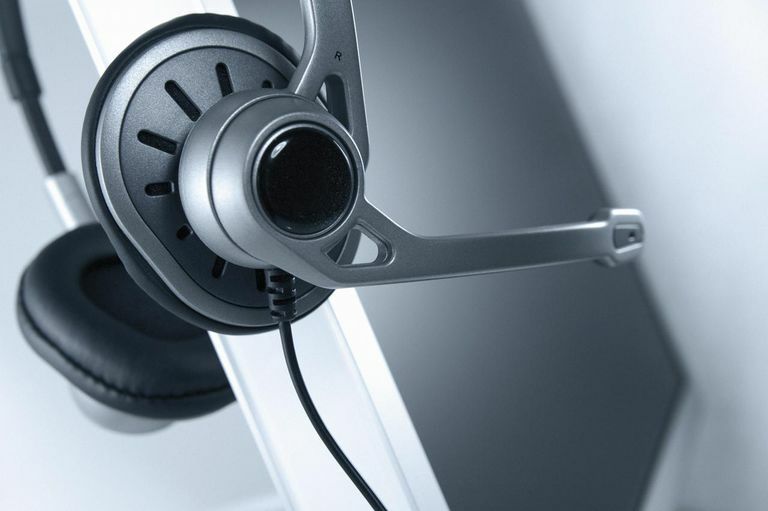 Some headsets can be dirt cheap and here lies the danger. Don’t think you’ve made a good deal by getting a headset for a couple of dollars before being sure of what’s in it. In most cheap headsets, voice quality and ergonomics are awful. On the other side, it does not mean either that the most expensive headset is the best. The price depends on the functionality. For instance, a wireless headset is up to three times more expensive than a corded one. If the wires don’t bug you, you will be happy with the cheaper one. Do you need a wireless headset or can do with a corded one? The advantage of using wireless headsets is the ability for you to move around while still being in the conversation. This is helpful in corporate environments where mobility is important. It is not very helpful at home unless paying for the high price doesn’t hurt you. You need to consider as well that wireless headsets don’t always give the consistently clear sound quality as corded ones, due to distance, interference and other factors. Also, think of the hassle (or to put it more nicely, additional requirement) of managing the batteries. If you are going for a wireless headset, you need to decide on the type: Bluetooth or DECT. DECT headsets are slightly cheaper and work in much greater ranges than Bluetooth ones. A DECT headset will still give you good performance while you roam around the building. Bluetooth operates over a short range, within a room, but has the advantage of being able to be paired with your mobile phone. One ear or both ears? Headsets come with earpieces for one or both ears. You will want to choose a monaural (one-ear) headset if surrounding noises do not disturb you or if you want to listen to people around you with one ear and to people on the line with the other at the same time; and if you want a headset that isn’t too invasive on your head. You will then sacrifice some voice quality. Go for both ears (binaural) if looks don’t matter and if you need all the goodness in the sound that comes out. The type of wiring. Wired headsets can be corded with the traditional audio 2.5 / 3.5 mm jacks, or with USB. Pay attention to that too. If you buy one with the traditional stereo jack, make sure your system (computer) has a sound card with the audio ports and that it is working, with drivers installed. USB headsets have their own sound cards embedded. For headsets, performance mainly involves voice quality and range. Good quality depends on the standard imposed during manufacture and materials used. This is where it is important to buy something branded and avoid too cheap products. Noise canceling is something that enhances quality in headsets, as noise is a major problem in many cases. So check for this in the headset you buy. Also, inquire about the range in which it works in case you are buying a wireless headset. Moreover, some added functionality like readiness for Skype is a plus. VoIP headsets too come with features just like the other VoIP hardware and services. They are maybe not as abundant, but as a user you will be interested in some, like voice recognition, audio adjustments, sound balance, flexible boom, pivoting ear cushions etc. It is good to have a clear idea, or even details, of your VoIP hardware’s specifications before you go buy your headset. Are you using a simple computer, a VoIP adapter, an IP phone or any other device? Do you have a sound card and the stereo audio jacks, USB ports? If you are buying a wireless headset, make sure you have support for the underlying standard. Does your computer or device have Bluetooth support, for instance? You don’t want to buy something only to find out once home that you need to invest more to empower your hardware to work with the headset. You want to make sure there is proper after sales help and support for the headset you buy, especially if you are injecting much money in it. This is one reason why it is important to trust brands and to read reviews before buying.